There has never been a better time to join the Alabama Jazz Hall of Fame family! That's why we're reviving our support organization, Jazz Hall Friends. 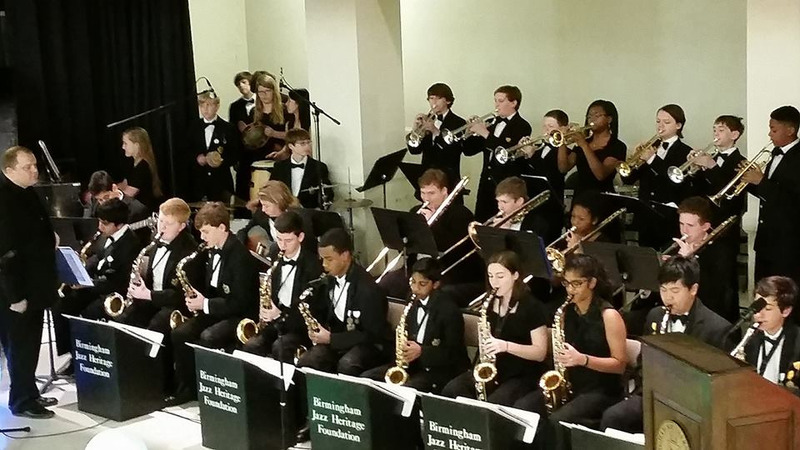 We have some big ambitions as we seek to take our love of jazz, our community and our children to the next level. We'll need your help to get there, and we want you to receive as much as you give. As a Jazz Hall Friend, you'll not only be supporting our educational outreach, bringing great performances to Birmingham, and keeping jazz radio on the air, you will also receive exclusive updates and information, participate in group discussions, receive event discounts and Jazz Hall swag! The next year will be exciting, as we customize our new radio station for you, build a completely renovated Carver Theatre, and expand our education services for the next generation of musicians. We are All In, and hope you will join us! Learn more at www.jazzhall.com, the home of the Alabama Jazz Hall of Fame.